I was running early for Easter dinner in York Harbor, and by myself because of a sick husband, so I decided to take a detour off 95 into Portsmouth to take a look at my very favorite house. 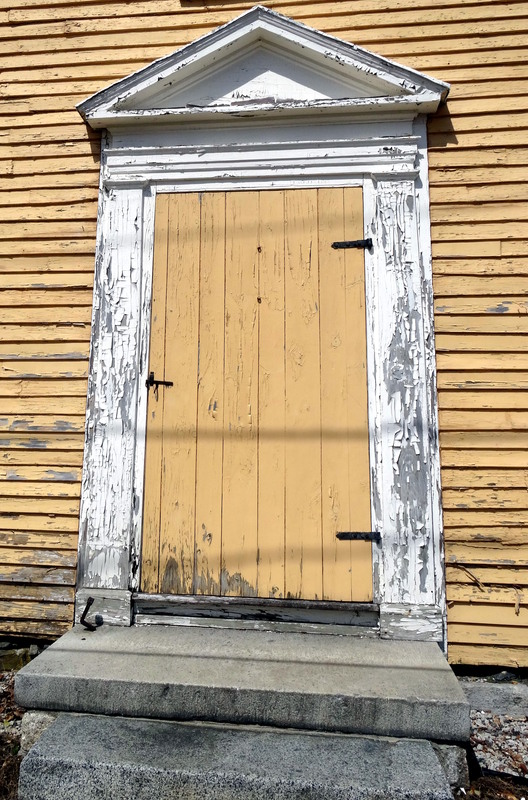 As I grew up just over the bridge and down the road apiece in southern Maine, Portsmouth was our go-to town for pretty much everything, and its downtown became my ideal setting: small New England seaport with plenty of historic housing. There’s no question I settled in Salem in large part because Portsmouth was just too far away from Boston. 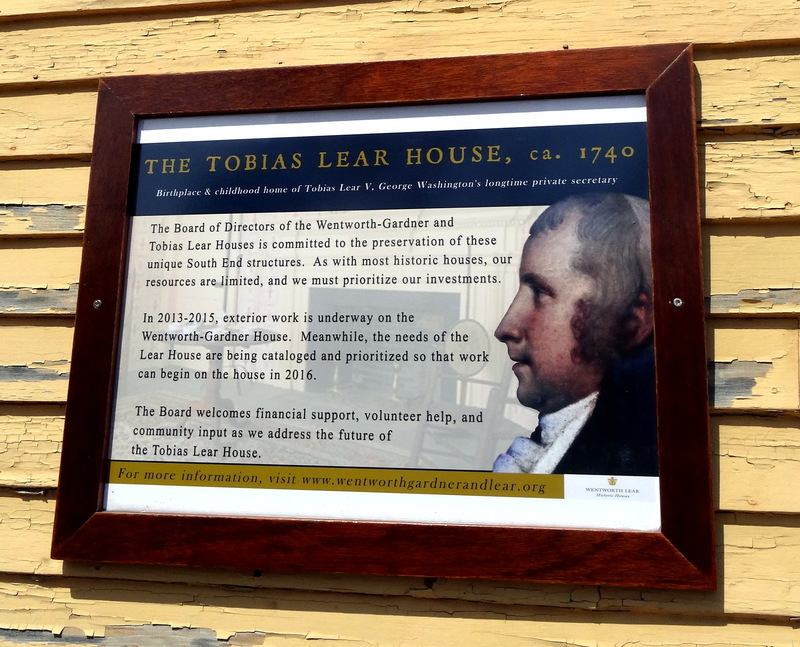 There are several Portsmouth streets to which I return to time and time again, but only one favorite house: the Tobias Lear House on Hunking Street, which to my untrained eye looks like the purest of Georgian structures. I think I first saw it when I was maybe 16, and it’s been part of my life ever since. 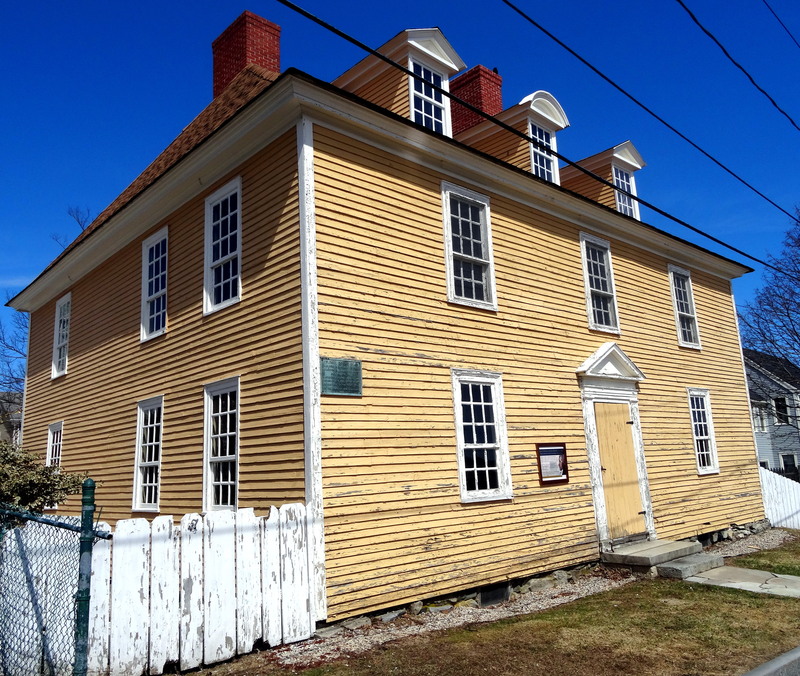 The Lear House, built in 1740, was home to several generations of a Portsmouth family including Tobias Lear, one of George Washington’s personal secretaries. After it passed out of the family in the later nineteenth century it descended into multi-family tenement status (along with much of Portsmouth’s South End), only to be rescued by Wallace Nutting, who purchased the Lear and neighboring Wentworth-Gardner House in 1917. 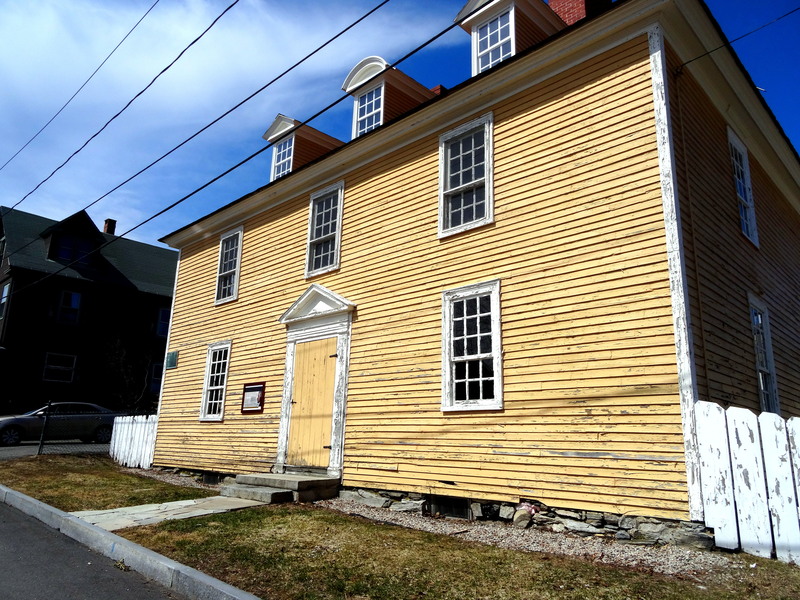 Both properties were eventually transferred to the Society for the Preservation of New England Antiquities (SPNEA–the forerunner of Historic New England) and then to the newly-formed Wentworth-Gardner and Tobias Lear Houses Association in 1940, in whose possession they remain. It seems to me that the Lear House has always been overshadowed by the High-Georgian Wentworth-Gardner, which Nutting restored in the Colonial Revival style he preferred for his ghostly photographs. Here is the sentiment of the SPNEA directors in 1919 that captures this “underappreciation” perfectly: the Society was urged to buy this house, which came on the market in 1917 for $1500, a price considerably higher for which it eventually sold. While considerably out of repair, it was a house but little altered since the days when Tobias Lear, private secretary to Washington, was its owner. Although a house we would have gladly preserved, it lacked the distinction worthy of a campaign for its purchase. It was bought by Mr. Wallace Nutting, whose famous Wentworth-Gardner house adjoins it. 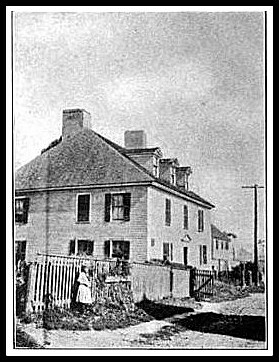 [Old-Time New England, 1919] It appears that the present-day restoration of the Lear House will have to wait, once again, until the Wentworth-Gardner houses is put to rights; nevertheless, when President Washington visited Portsmouth in 1789 (just a few days after he left Salem and this house), it was the “best parlor” of the Tobias Lear House to which he came. The Tobias Lear House on Hunking Street in 1917 and today, and adjacent Wentworth-Gardner House on Mechanic Street. 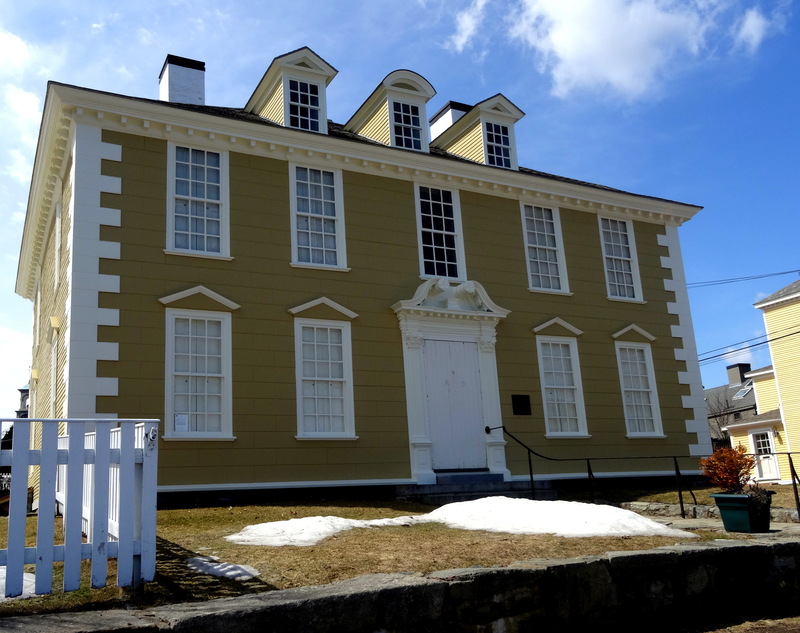 This entry was posted on Tuesday, April 7th, 2015 at 7:15 am	and tagged with Architecture, George Washington, great houses, Historic New England, Historic Preservation, Portsmouth, Wallace Nutting and posted in History, Houses. You can follow any responses to this entry through the RSS 2.0 feed. 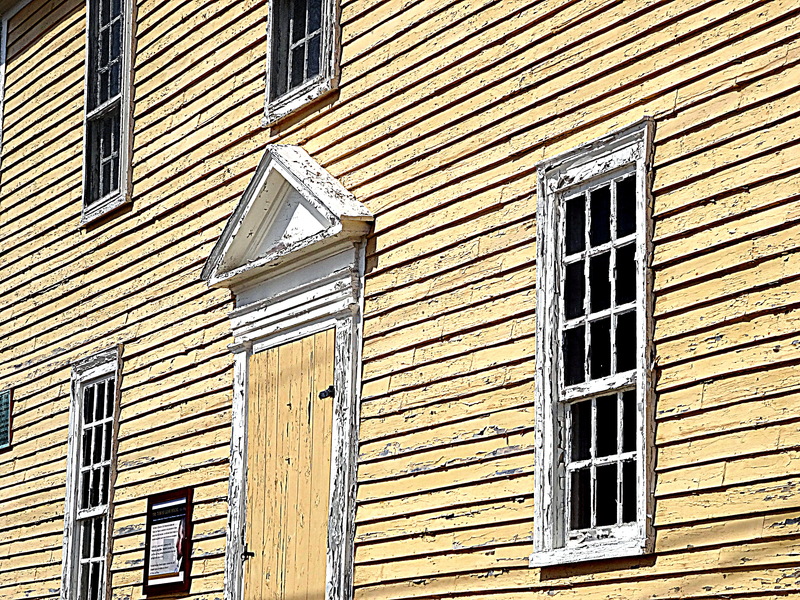 A couple of thoughts: First, it appears the home needs a good coat of paint, but is otherwise in excellent shape. Second, I laughed when I read the sentiments of the Society for the Preservation of New England Antiquities: “Although a house we would have gladly preserved, it lacked the distinction worthy of a campaign for its purchase.” Tobias Lear was personal secretary to Washington for the last 15 years of Washington’s life and later served as an envoy under Thomas Jefferson. It makes one wonder it took for a structure to be “worthy” of purchase! I know! But we must have some context–I think SPNEA was besieged with houses that needed saving at that time. But still……. Yes, I thought about that, as well. Either way, I’m glad someone had the good sense to rescue it, and thank you for highlighting it.